ReefNet's SubSee Magnifier is a high-quality close-up lens specifically designed for underwater photographers and videographers. It may be used on its own or mounted in a SubSee Adapter for maximum convenience. Large Diameter: A 52 mm diameter lens offers a wide field of view compatible even with full-frame DSLR cameras (36 mm x 24 mm sensors). Multiple Power Options: Available in either +5 or +10 diopter versions. Choose the power best-suited to your style of photography, or get both for the most flexibility. The +10 version can increase your camera lens' magnification by up to 3.5x! Sealed, Multi-element, Coated Optics: Because SubSee's optics are air-sealed, they retain full power underwater. Multiple lens elements (either 2 or 4 depending on strength) virtually eliminate pincushion distortion and chromatic aberration. Furthermore, anti-reflective coatings on all lens surfaces increase image brightness. Standard 67 mm Mounting Thread: The SubSee Magnifier offers an industry-standard 67 mm thread. Screws directly onto many underwater housing ports! Optional Handle / Lanyard Mount: These accessories allow hand-held use. Ideal for marine life enthusiasts. 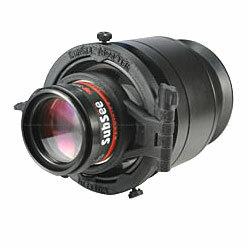 The SubSee Adapter affords the underwater photographer the highest level of shooting convenience. Once the SubSee Magnifier is inserted, it can be swung into or out of place in seconds. The lens is removable for use as a handheld magnifier, and the lens mount is interchangeable to accommodate optics of various sizes and powers. Each adapter is made-to-order from durable, light-weight ABS plastic. If you happen to have a port or housing configuration that we haven't come across, don't worry! ReefNet need just a couple of simple measurements to manufacture your custom adapter. If you feel uncomfortable making them yourself, you may simply send your equipment to us for analysis. Once the measurements are made, manufacturing takes less than 48 hours...we work quickly! Size and weight - It is less than half the weight of most close-up adapters, and is considerably more compact. Power - The sealed +10 diopter version is the most powerful in the industry. Modularity - Both the swinging adapter arm and the SubSee optic are interchangeable to accommodate different magnifier sizes and strengths. Convenience - The hinged arm keeps the magnifier in place when you need it and out of the way when you don't. Versatility - The SubSee Magnifier can be removed for use as a handheld magnifier. Super-macro photography/videography: achieve unprecedented magnification to reveal intricate details in your images. The visually impaired: read dive gauges, your watch, etc.